A multi-tier architecture separates the presentation, application processing, and data management functions logically and physically. The most widespread use of multi-tier architecture is the three-tier architecture. N-tier application architecture provides a model by which developers can create long lasting, flexible, and reusable applications that achieve critical success factors. By segregating an application into tiers, developers have the ability to modify or add specific layer instead of reworking the entire application. 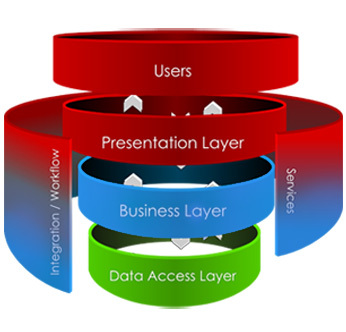 A three-tier architecture is typically composed of a presentation tier, a domain logic tier, and a data storage tier. IBR has extensive experience implementing multi-tier solutions for both our Federal and Commercial customers.